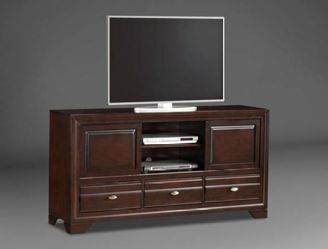 The Stella Entertainment Console by Crown Mark has a stylish for your entertainment and media storage space. Drawer fronts feature ribbed panels for a more interesting and textured look and feel. Use the piece anywhere in your home to effortlessly update and organize your media and electronics.